Jasmine "Walt, King of the Dumper"
^ a b Ancestry.com. England & Wales, Birth Index: 1916-2005 [database on-line]. Provo, UT, USA: Ancestry.com Operations Inc, 2008. Original data: General Register Office. England and Wales Civil Registration Indexes. London, England: General Register Office. 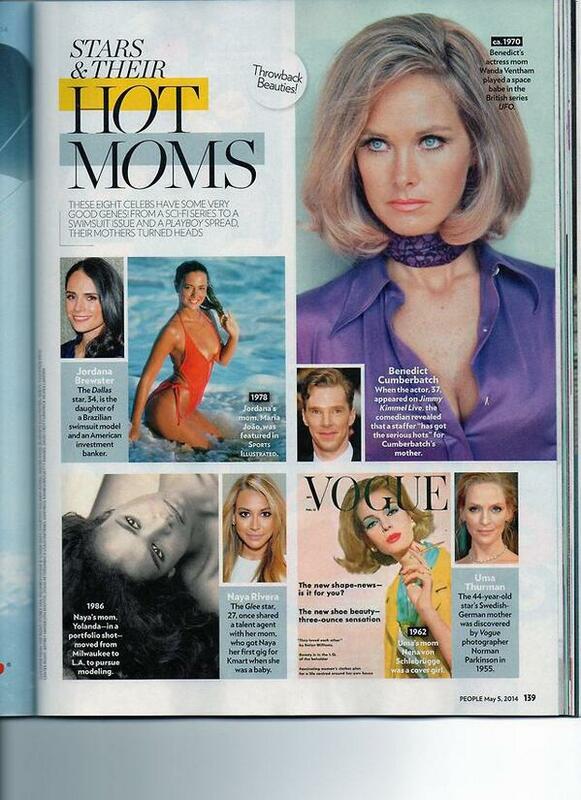 ^ “Stars & Their Hot Moms”. People: 139. (5 May 2014). https://pbs.twimg.com/media/BmB8oqcCEAAHvpZ.jpg 2015年6月19日閲覧。. ^ FreeBMD. England & Wales, FreeBMD Birth Index, 1837-1915 [database on-line]. Provo, UT, USA: Ancestry.com Operations Inc, 2006. Original data: General Register Office. England and Wales Civil Registration Indexes. London, England: General Register Office. ^ Central School of Speech and Drama Alumni Newsletter (19): 19. (July 2012). ^ a b Ancestry.com. England & Wales, Marriage Index: 1916-2005 [database on-line]. Provo, UT, USA: Ancestry.com Operations Inc, 2008. Original data: General Register Office. England and Wales Civil Registration Indexes. London, England: General Register Office. ^ Knowles, Stewart (28 July 1979). “Timothy, Wanda... and the rose that changed her mind about marriage”. TV Times: 14–15. ^ Passingham, Kenneth (22 March 1975). “It's good news to know I'm still fanciable”. TV Times: 21–22.